I can supply aluminium shots and notch bar of purity 97.5% at a very compitative price from nagpur. We offer our clients with an unmatched range of Aluminum Notch Bar. Our range is manufactured using the best quality raw material and the latest techniques and has high aluminum purity. We offer this range to our clients at an unbeatable price range. We are indulged in offering the finest quality Aluminium Notch Bar. 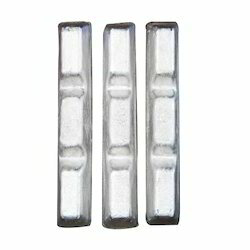 We are among the reputed organizations, deeply engaged in offering an optimum quality range of Aluminium Notch Bar. Aluminum Notch Bars are manufactured using aluminum that is 93% or 97% pure. 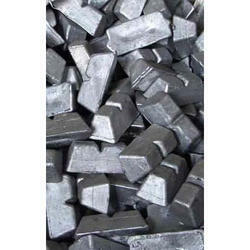 These Notch Bars are used as de-oxidant agents in steel industries. Products are subjected to stringent quality tests and chemical analysis using spectrometers, for purity before being dispatched to clients. We are the manufacture of Aluminium Notchbar. We are pioneers in the manufacturing and export of Aluminium Utensils, Aluminium Circles, Aluminium Notch Bars & Aluminium Shots since 1980. We have a host of manufacturing facilities producing aluminium utensils like tawa, frying pan, buckets, pressure cooker, etc. - 99%, 98.5%, 97% etc. Minimum Order Quantity for All Products: 1 MT. We are a recognized Sole Proprietorship firm engaged in manufacturing and Trading of Aluminium Sheets, Aluminium Sheet Coil, Aluminium Foil Roll, Aluminium Color Coated Plates etc. All the departments managed under the supervision of devoted and capable professionals who have a vast understanding of this domain. We stricylt adhere to the Quality norms specified.